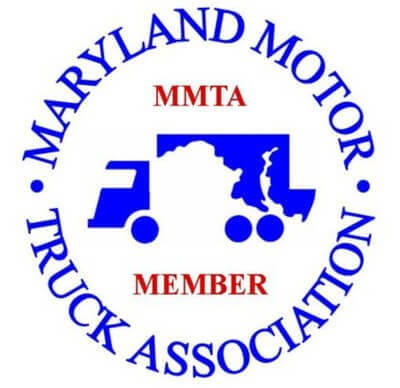 A Class B CDL allows a driver to operate commercial trucks that have an attached cab and cargo area with a combined weight greater than 26,000 pounds, as well as trucks with a detached towed cargo vehicle that weighs less than 10,000 pounds. This position will drive diesel powered straight truck to transport and deliver commercial goods, IT equipment and furniture in loose or packaged form. Must have experience in operating lift-gates. Capable of lifting 75+ lbs. Responsible for transport of commercial goods, IT equipment and furniture from origin to destination. Responsible for maintaining clean, safe, operating condition of assigned vehicles and equipment. Maintains driver log according to FMCSA regulations. Manages workers in loading and unloading goods, material, and equipment. Adherence to drug-free workplace initiatives. Manages on-site crews to ensure efficient and effective service and delivery to clients. Actively participates in moving materials, commercial goods, IT equipment, furniture, and hard-to-move items. Maintains tool kit for the installation, assembly and breakdown of furniture, cubicles, or other items for transport. Responsible for accurate and complete transactions on all paperwork; securing signatures, collection of payment, and reconciliation of discrepancies. Submit paperwork to Dispatchers to validate crew man-hours and report any incidents. Works in collaboration with other crew members to service move projects for office, industrial, museum, laboratory, or other assigned move projects. Work may involve moving, storage, packing, loading, and transport of office equipment or other industrial equipment for commercial relocation services. Must be able to communicate clearly and concisely with other crew members, clients, and move coordinators. Must be reliable and available for dispatch on time and possible with varying work schedules. Must successfully pass a background investigation and pre-employment drug screening. Capable of lifting 75+ pounds. Assists/helps with the pick-up (loading), transportation, and delivery (unloading and placement) of office furniture/equipment in accordance with established standards and procedures. Routinely involves lifting, movement and placement of heavy items by hand or with the assistance of material handling equipment (hand-truck or dolly). Receives instruction from project supervisor and adheres to all company policies and safety rules. Works with other team members to ensure customer satisfaction and contract compliance. May be required to pack, unpack, and wrap/unwrap household goods items per customer specifications and international office moving institute (IOMI) standards. Performs all duties in adherence with company safety standards. Performs work within the specifications of the estimate of man hours. Must wear company-approved uniform and maintain a clean and professional appearance while representing the company and delivering service to customers. Responsible for proper use of all company equipment, packing materials, and proper treatment of company vehicles while in transit, at a customer site, return to Moving Masters facility, or while visiting other facilities for delivery, pickup, etc. We are always looking to add team members to our incredibly successful sales team. If you have prior business development or sales experience, please submit an employment application.